I said a few weeks ago, jokingly, that this was the season in which cryptids come out to play. Boy, as it turns out, the comment I said in gest was more than a little truthful. Another week, another new monster. This time it’s a rubbery, hairless, bloated critter discovered in Panama. Fortunately, locals were alert enough to beat it to death with sticks and dump the body in the river, in much the same way the Texas chupacabra was poisoned to death before it could be studied. If anything, I’d say Panama’s version of the Montauk Monster is a hairless sloth. The face is very slothlike, as is the body, but the dead giveaway is the prominent claw. 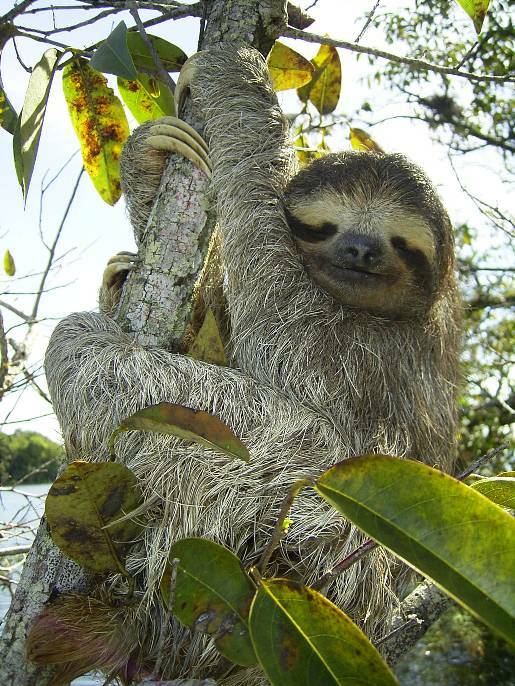 That’s one of the most distinctive aspects of the sloth’s body, and this creature also seems to have those claws. The three-toed sloth is also native to Panama. Still, I have to admit if I saw that thing coming at me, or even close to me, I’d probably freak out and run away. Just looking at it gives me the creeps! It’s so vaguely human, yet so definitely not human. With its fur it’s cute; without the fur it’s chillingly odd.